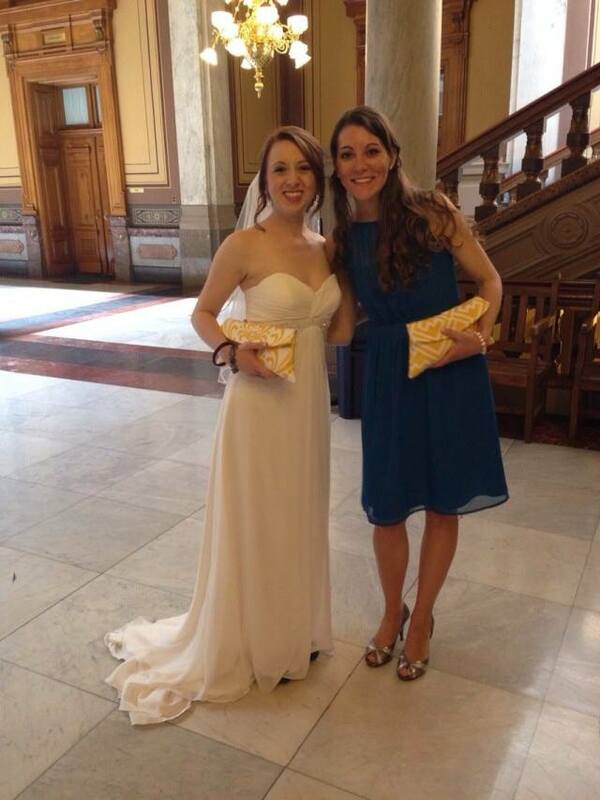 I was a bridesmaid three times this summer. Because of the countless TV shows and movies I’ve watched that involved wedding disasters and bridezillas, I was exceptionally nervous when I realized that my brother and two of my best friends were all getting married during a four month stretch. Given the realities of my life as a grad student, I was convinced that I would end up like Annie in Bridesmaids–a stressed, jealous disaster. 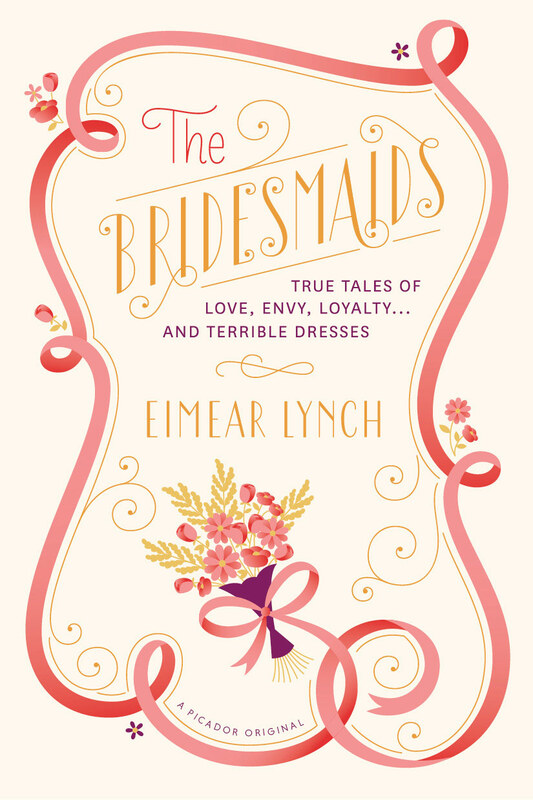 In that vein, Eimear Lynch’s The Bridesmaids: True Tales of Love, Envy, Loyalty, and Terrible Dresses uses the experience of being a bridesmaid to reflect on friendship, sisterhood, and other relationships, as well as on cultural expectations about weddings, love, and femininity. I think what I enjoyed most about the book was how many of the stories, which range from 2-5 pages on average, spent much less time on the wedding and more time on how the wedding reflected the bride’s personality or the bridesmaid’s relationship with the bride. This is about experiences many women share, not the other trappings of the wedding industry. There were some pretty intense wedding stories, though. For example, one wedding was threatened by a tornado and another brought out borderline personality disorder in the bride. When I saw that Birchbox was giving away copies to Birchbloggers to review for the Birchbox Book Club, I quickly tweeted about my multi-bridesmaid summer and won myself a copy. Yay! I really appreciated the way that the book balanced critique of the role of the bridesmaid with reflecting on how having bridesmaids or being one still holds meaning for modern women. For example, in her introduction Lynch notes, “It’s a treat to be able to spoil sisters or dear friends who mean a lot to you” (xv). The stories also bring out a variety of perspectives from “professional bridesmaids” to bridesmen, gay couples, and jilted exes. I particularly enjoyed two stories from nuns–one an ex-sister who detailed her and a fellow sister’s journeys from protesting as nuns during the sixties to being bridesmaids in each others’ non-traditional weddings. The other wrote about how all nuns are also sort of bridesmaids to each other when they take their religious vows. Tomorrow at 2pm ET we’re live chatting with @eimearmlynch, author of #TheBridesmaids. Tweet your q’s now w/#BirchboxBookClub! For me, reading The Bridesmaids was a fun and relaxing way to reflect on my own experiences as a bridesmaid this summer. Although I was stressed going into wedding season–I wanted to do everything just-right for my friends and family–as usual, my worry ended up being for nothing. Each of the weddings was really beautiful and fun and it was a joy to be with the couples on their big days. There were some hiccups, naturally. I tripped once, forgot my dress and had to race home for it (then I almost left it in my mom’s car), my skin broke out, and I became The Bossy Bridesmaid. But, I also got to witness some really dear friends take their vows. As I read The Bridesmaids, it got me thinking about the moments of the wedding days that really stand out to me. Aside from the obvious big moments, my favorite parts were the little, intimate moments I got to share with the brides and grooms. For example, I found out I got my fellowship right before getting a manicure with my college friend Abby. I discretely showed her the email, got a side hug, and went on with her big weekend, but it was special that I got to share that with her. Later, in wedding pictures we posed like we were on ANTM, like we did on our European travels together. It was silly, but us. Abby, the groom Keaton, and I went to college together and it was such a joy to see such happy, creative people craft a wedding that so wonderfully spoke to who they are individually and together. On my brother’s wedding day, it was wonderful seeing our families come together around a couple who we had all watched grow up together. It was also a lot of fun to drink champagne in a limo with my brother and his friends. I might have gotten into a conversation about critical race theory in the back of the limo, but I swear, I didn’t start that. It was really special going over my brother’s toast with him and to be there as he gave the toast to his new wife, Megan, who he had been with since they were 17. I was sobbing. My best friend of 17 years got married last Saturday. I woke up so full of adrenaline that it was like Christmas morning. I went into the day reminding myself to be cool despite my giddies. I did get a little bossy because I wanted her day to be perfect and I was nervous. What meant a lot to me that day was how many small, fun moments I got to have with Emily. She was a fancy bride, but also my BFF. Because my car is so sad (here’s the only correlation to Annie from Bridesmaids), I got to ride with Emily around in her car and it made things feel normal even though it was an important day. She came to get me to dance for “Brown Eyed Girl.” I caught the bouquet! My dad, the DJ, had a comically stressed reaction to that. 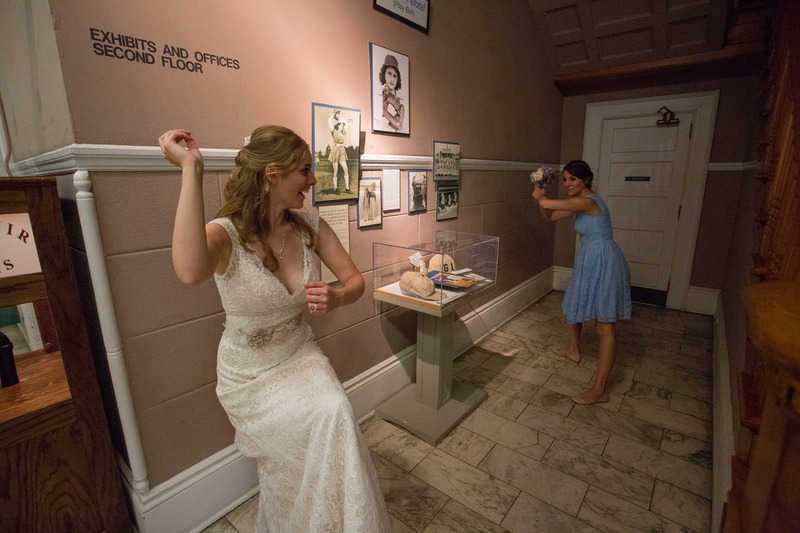 And then Emily and I took a baseball themed picture with it by the Fort Wayne Daisies exhibit at The History Center. The moment that stands out to me the most, however, is standing there watching her take her vows and thinking “Holy cow! We’re grown!” I think our friendship has largely been characterized by its elasticity. No matter what else was going on, when we were together we were always young. She always connected me to home and to being little girls. And here she was, a beautiful, gentle, fun woman getting married. It was one of those wow-perfect-omg moments that sticks to you. Those moments that stick to you–for better or worse–are what so many of the stories in The Bridesmaids capture. « Help me! I’ve never read Judy Blume.